The first classification of general types of transition between phases of matter, introduced by Paul Ehrenfest in 1933, lies at a crossroads in the thermodynamical study of critical phenomena. It arose following the discovery in 1932 of a suprising new phase transition in liquid helium, the “lambda transition,” when W. H. Keesom and coworkers in Leiden, Holland observed a λhaped “jump” discontinuity in the curve giving the temperature dependence of the specific heat of helium at a critical value. This apparent jump led Ehrenfest to introduce a classification of phase transitions on the basis of jumps in derivatives of the free energy function. This classification was immediately applied by A.J. Rutgers to the study of the transition from the normal to superconducting state in metals. 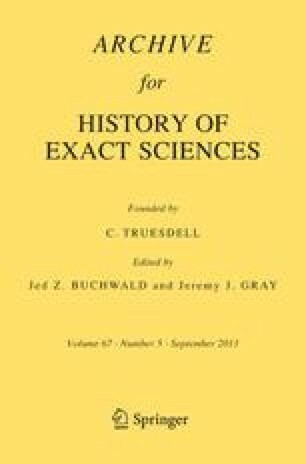 Eduard Justi and Max von Laue soon questioned the possibility of its class of “second-order phase transitions” -- of which the “lambda transition was believed to be the arche type -- but C.J. Gorter and H.B.G. Casimir used an “order parameter to demonstrate their existence in superconductors. As a crossroads of study, the Ehrenfest classification was forced to undergo a slow, adaptive evolution during subsequent decades. During the 1940s the classification was increasingly used in discussions of liquid-gas, order-disorder, paramagnetic-ferromagnetic and normal-super-conducting phase transitions. Already in 1944 however, Lars Onsagers solution of the Ising model for two-dimensional magnets was seen to possess a derivative with a logarithmic divergence rather than a jump as the critical point was approached. In the 1950s, experiments further revealed the lambda transition in helium to exhibit similar behavior. Rather than being a prime example of an Ehrenfest phase transition, the lambda transition was seen to lie outside the Ehrenfest classification. The Ehrenfest scheme was then extended to include such singularities, most notably by A. Brain Pippard in 1957, with widespread acceptance. During the 1960s these logarithmic infinities were the focus of the investigation of “scaling” by Leo Kadanoff, B. Widom and others. By the 1970s, a radically simplified binary classification of phase transitions into “first-order” and “continuous” transitions was increasingly adopted.